Another busy day in the rugby union game as we look back at the weekend’s action in the Six Nations and select our Team of the Week from Round Two. 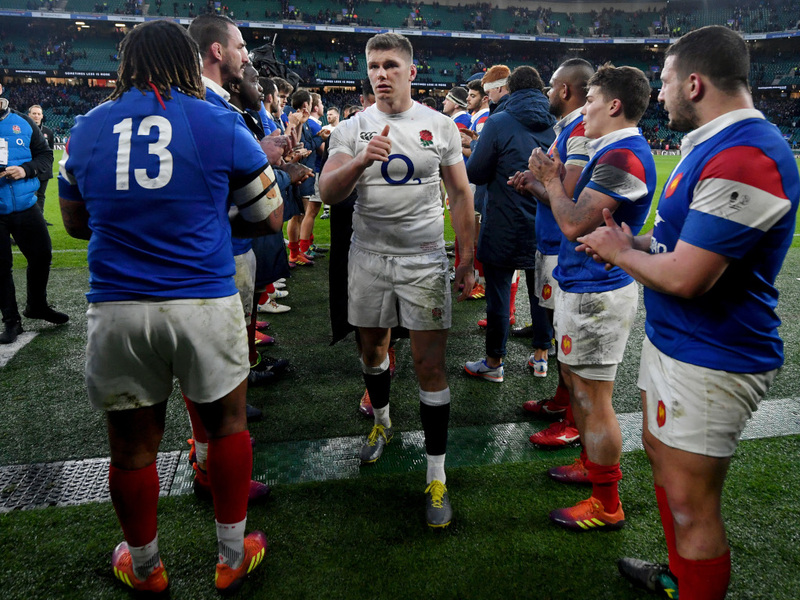 England once again impressed in the Six Nations, defeating France 44-8 at Twickenham, and as a result have seven players in our Team of the Week, while Ireland are represented by four individuals. The tournament is also discussed in ‘who’s hot and who’s not,’ which looks at the Red Rose’s kicking game, Jacques Brunel’s muddled selections and Greig Laidlaw’s comments after the Ireland encounter. Elsewhere, there is a quiz on the weekend’s action, so test your knowledge with these seven questions from the three games at the weekend. Finally, Super Rugby starts on Friday and we have made five predictions for the South African Conference, following on from New Zealand and Australia which went on the site on Sunday. London Irish’s preparations for next season have already begun in earnest and they have managed to sign world-class flanker Sean O’Brien from Leinster, who will join in December following the 2019 World Cup. In the Six Nations, Scotland back-row Ryan Wilson has been ruled out of the rest of the competition after coming off injured against Ireland on Saturday. Meanwhile, in the southern hemisphere, World Cup winner Stephen Donald’s professional career is not over just yet after joining the Chiefs for the 2019 Super Rugby campaign. Yes Louis, I think Tom Curry may know that he has blood streaming down his face. The Six Nations takes a break this weekend, which means domestic action returns in Europe with BT Sport showing Gloucester v Exeter, Saracens v Leicester and Bristol v Wasps in the Premiership. Meanwhile, Sky Sports will broadcast Clermont’s encounter with Bordeaux and Racing’s game against Toulouse, but it is the start of Super Rugby which takes precedence on that channel, starting with the Chiefs hosting the Highlanders. Finally, the PRO14 gets going once again and Premier Sports have all seven matches, with Ospreys v Ulster the standout contest.